Let’s look at the high ISO test images of Ricoh GR III camera. The Ricoh GR III is a new APS-C compact camera with 28mm fixed focal length lens. The GR III has a brand new 24.2 megapixel APS-C sensor which Ricoh claims delivers the best image quality of any GR-series camera to date. Comparing most popular professional compacts from different brands and almost different sensor types. The Ricoh GR III currently selling for $899. Check availability at (Amazon / B&H Photo Video / Adorama) . Also check out the comparison between the Ricoh GR III vs Ricoh GR II cameras. Dpreview published their studio scene results for Ricoh GR III camera. We’ve tried to put Fuji X100F, Ricoh GR III, Canon G1X Mark III and Sony RX100 VI. 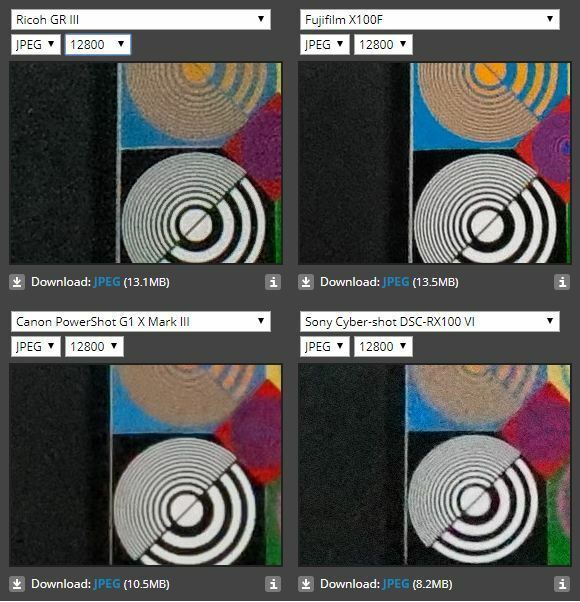 Take a look at the picture that shows which camera performs best during these high ISO test.